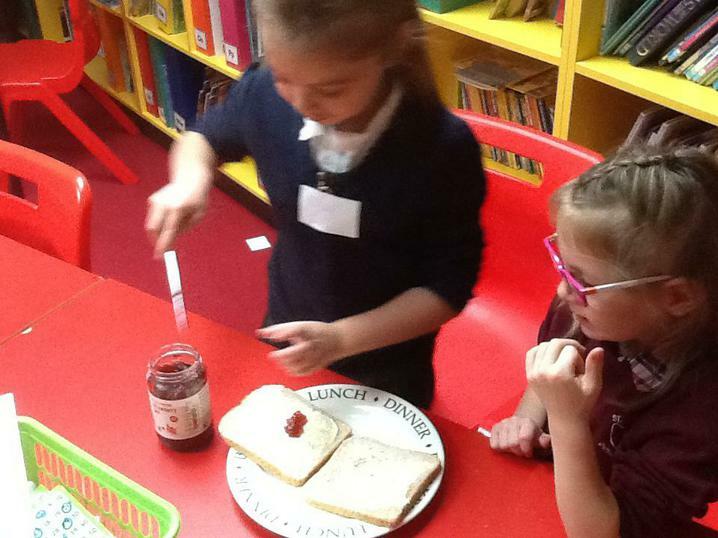 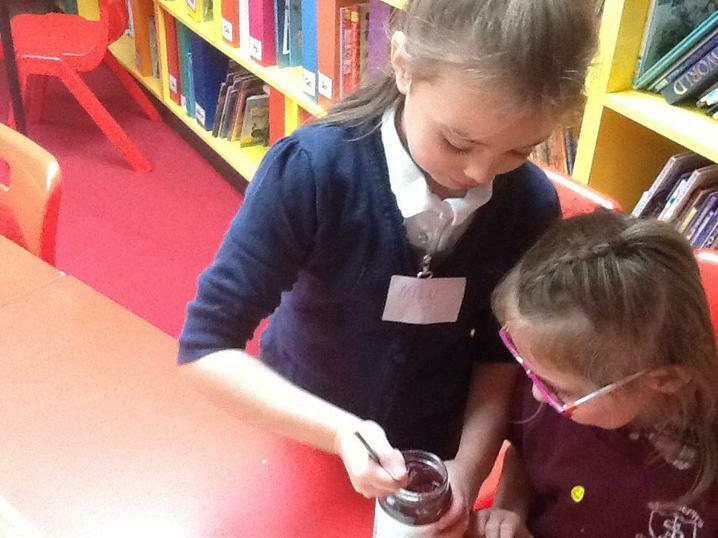 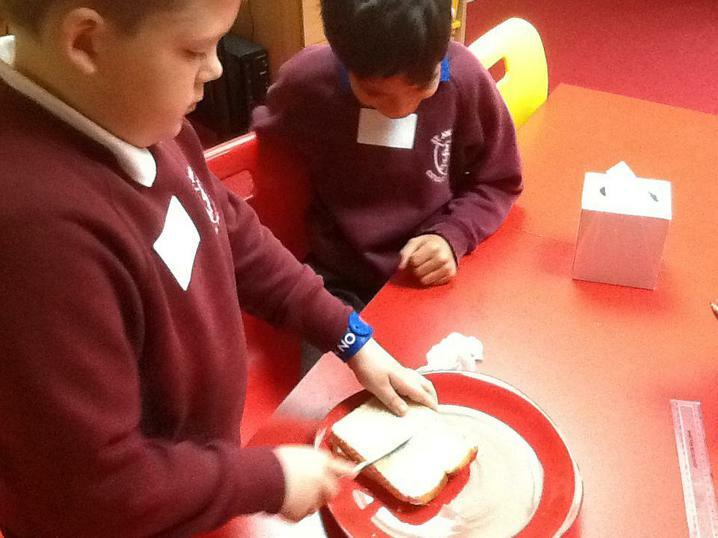 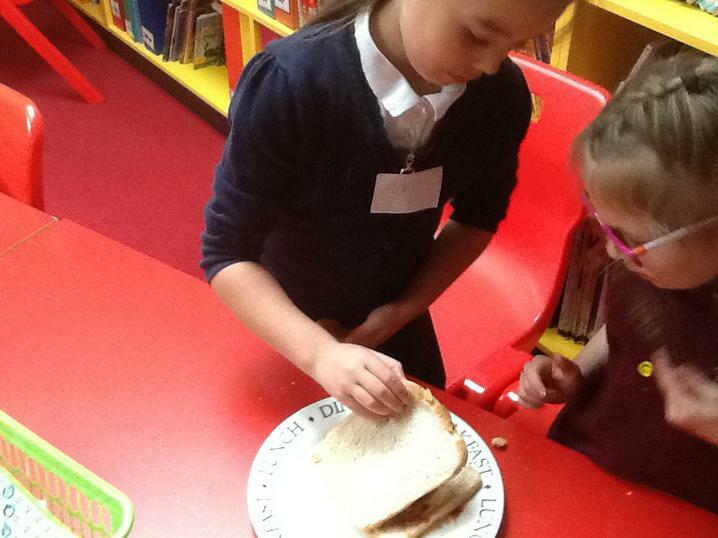 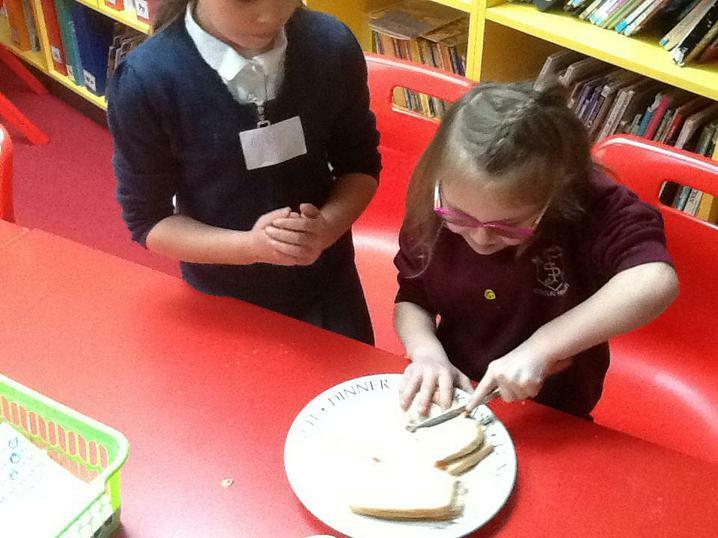 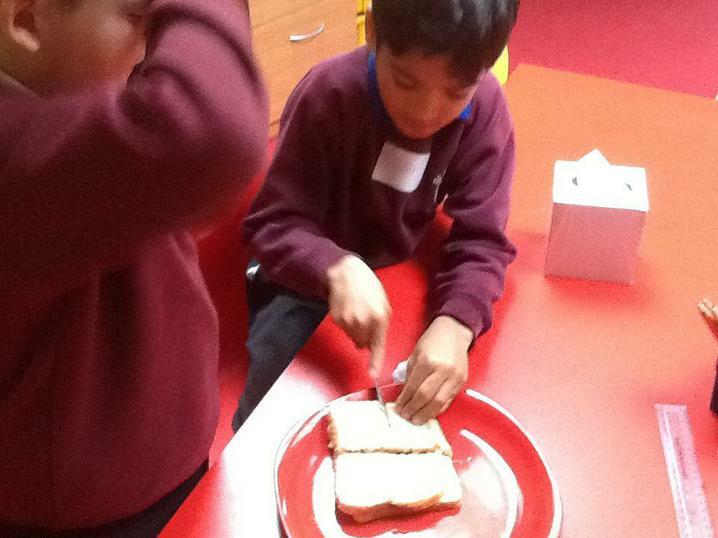 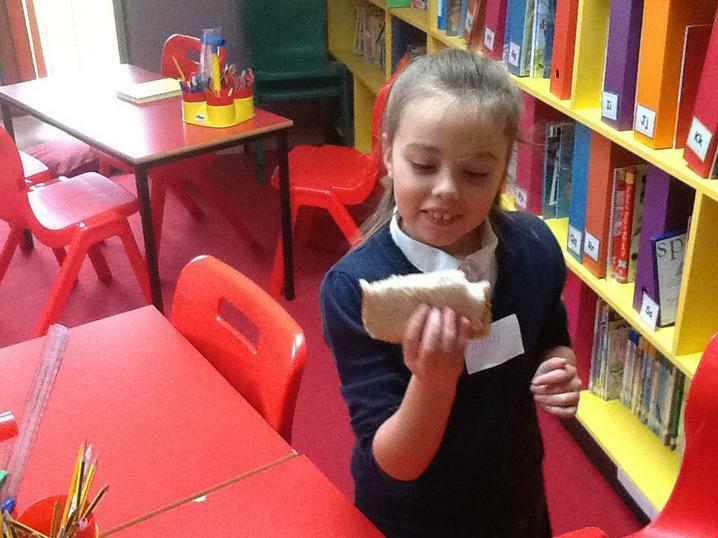 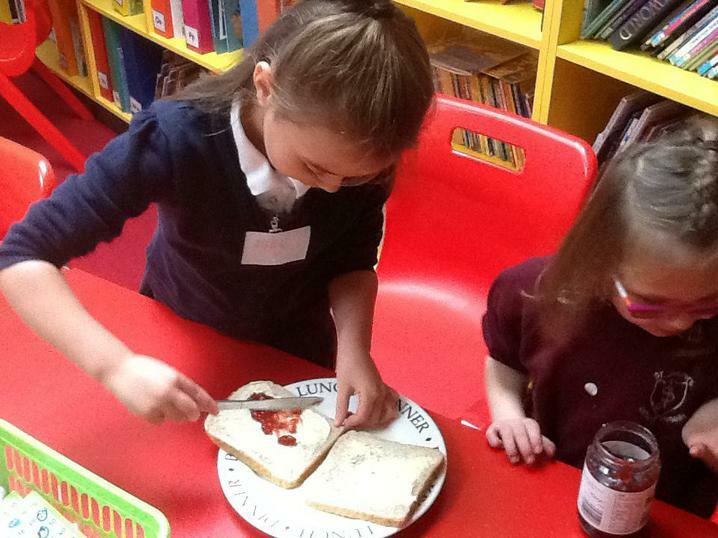 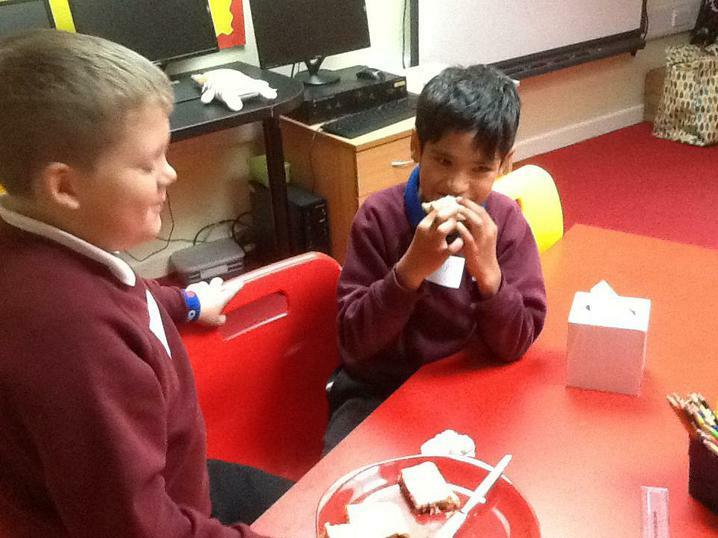 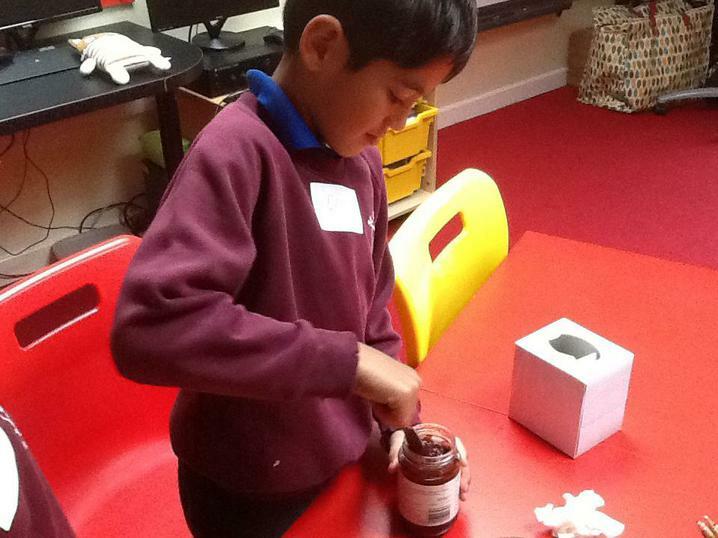 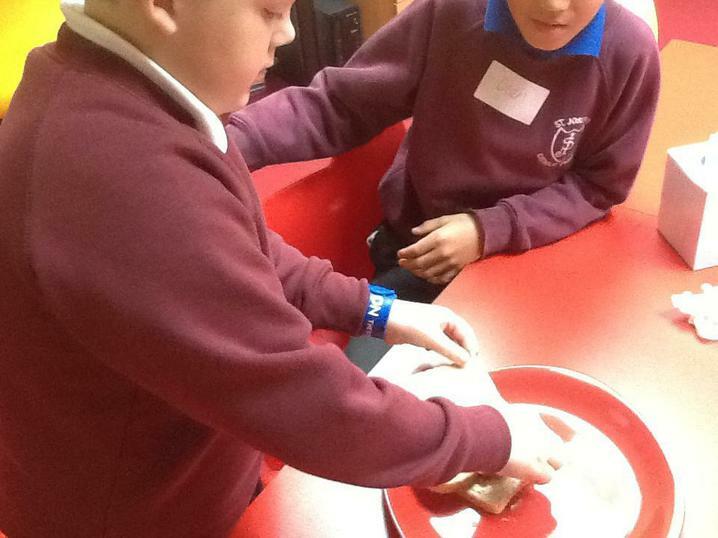 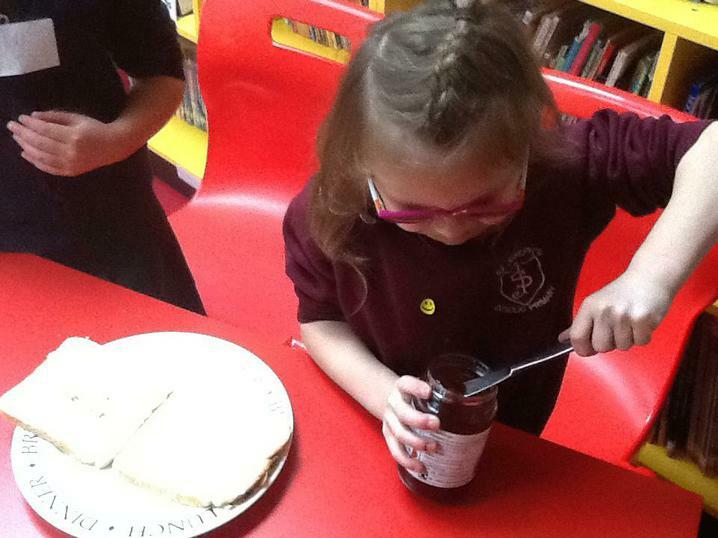 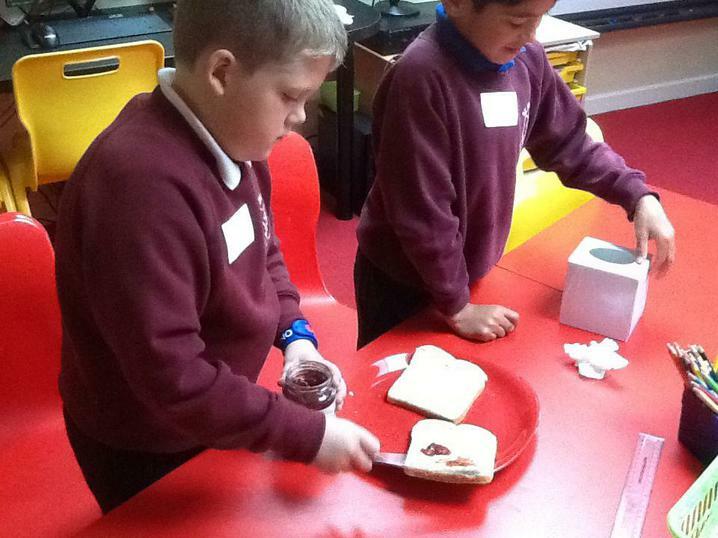 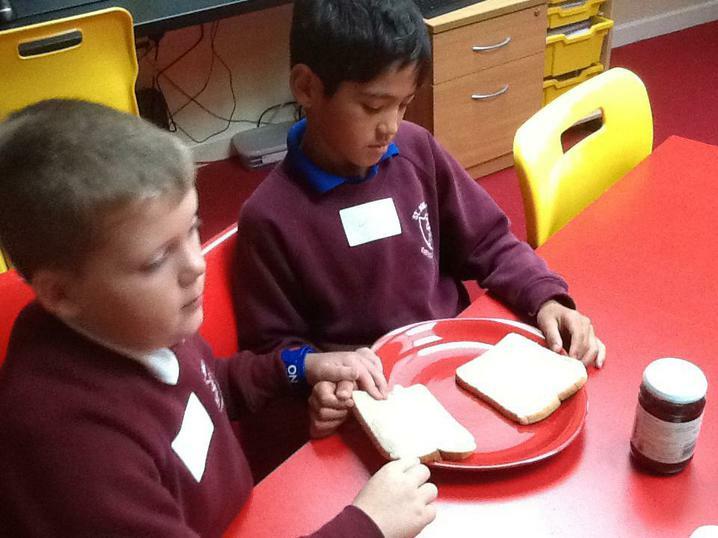 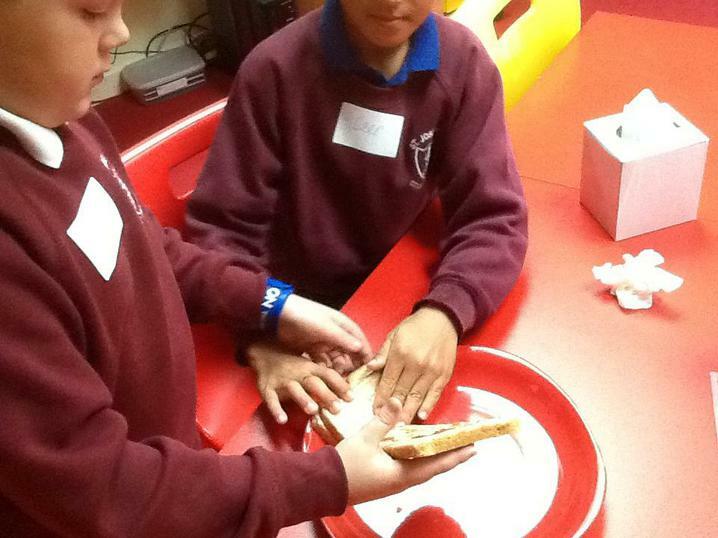 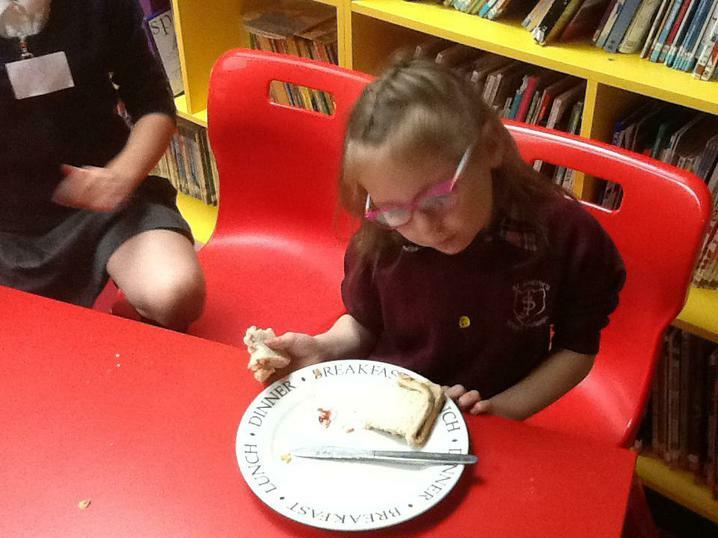 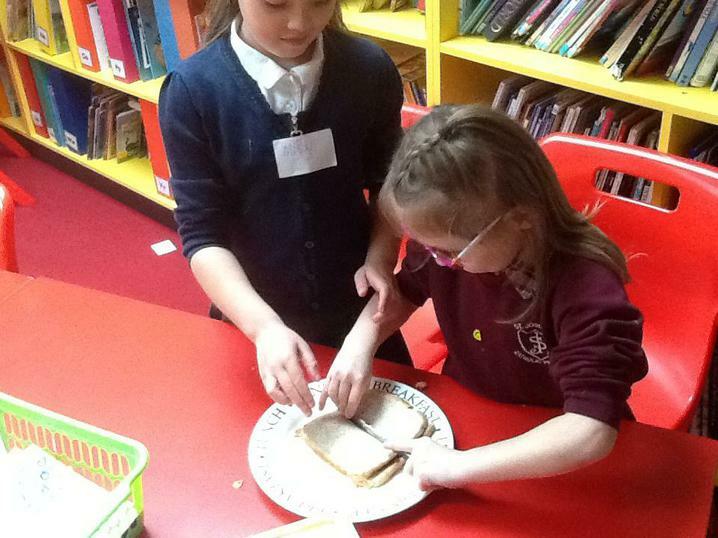 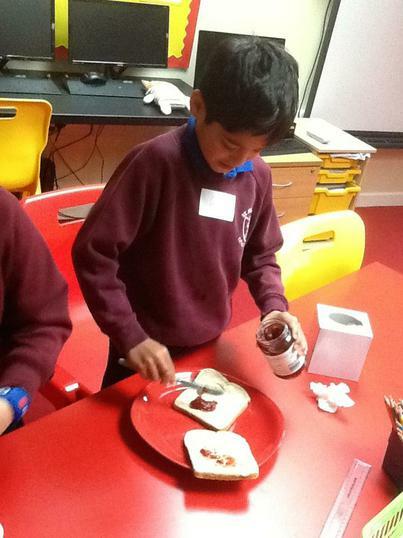 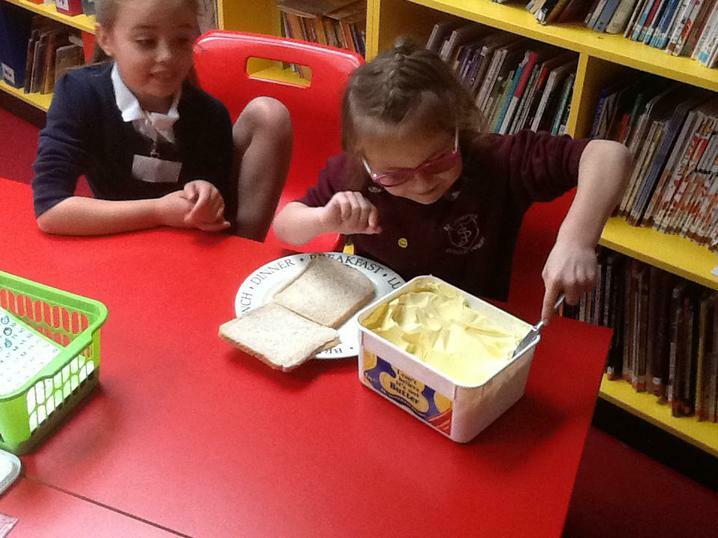 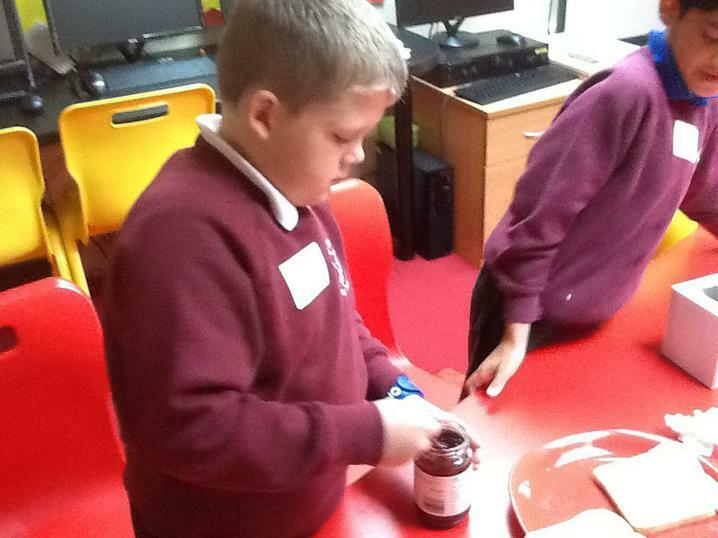 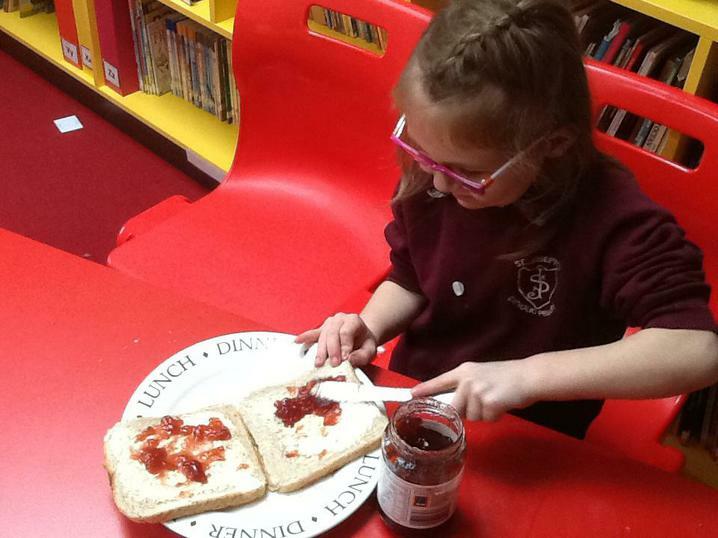 Making jam sandwiches to help us think of the instructions. 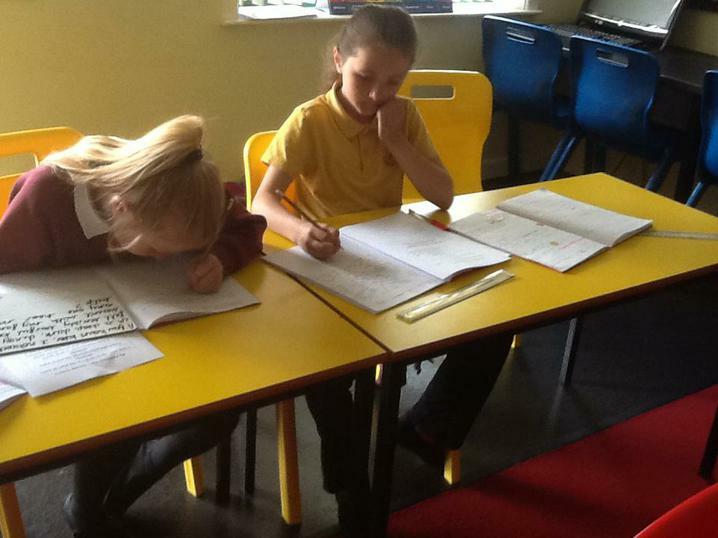 Working in groups to write instructions. 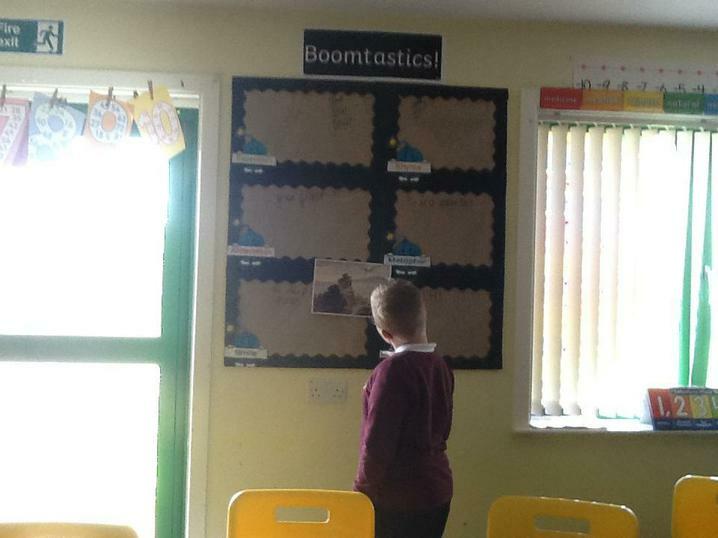 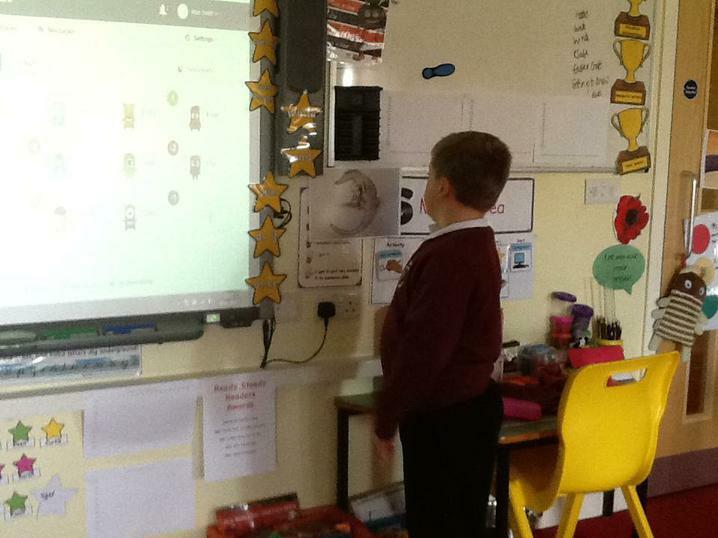 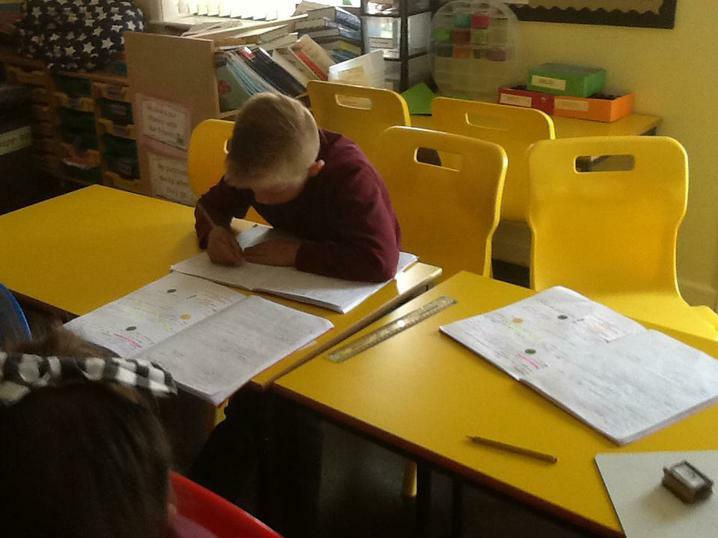 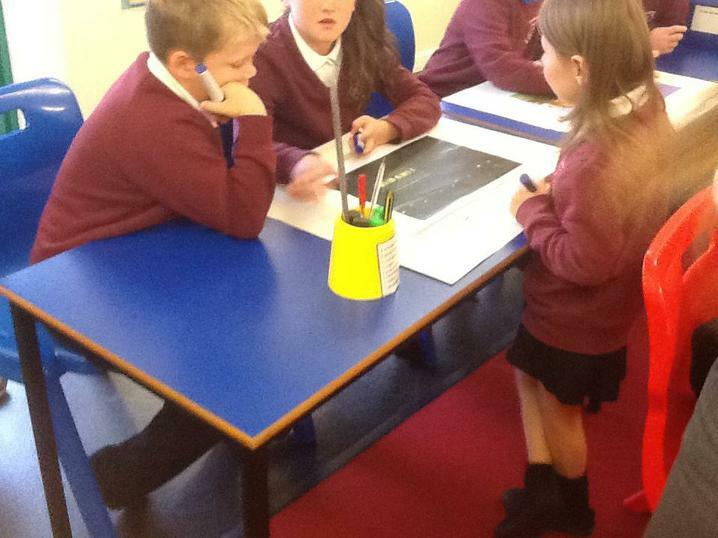 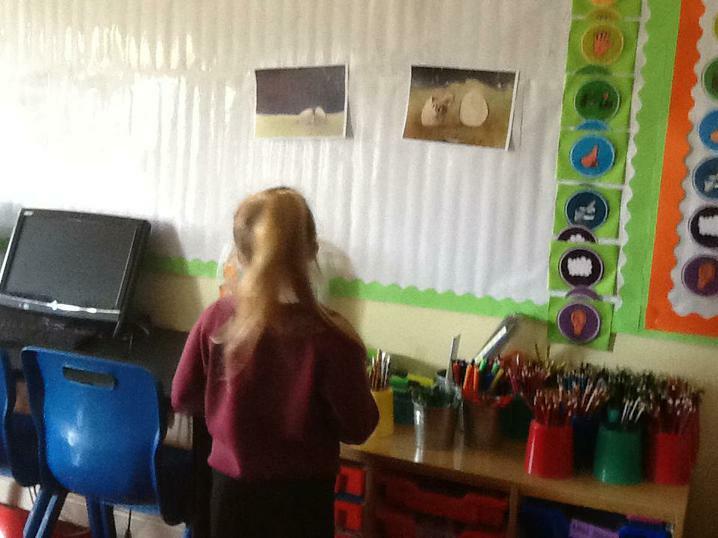 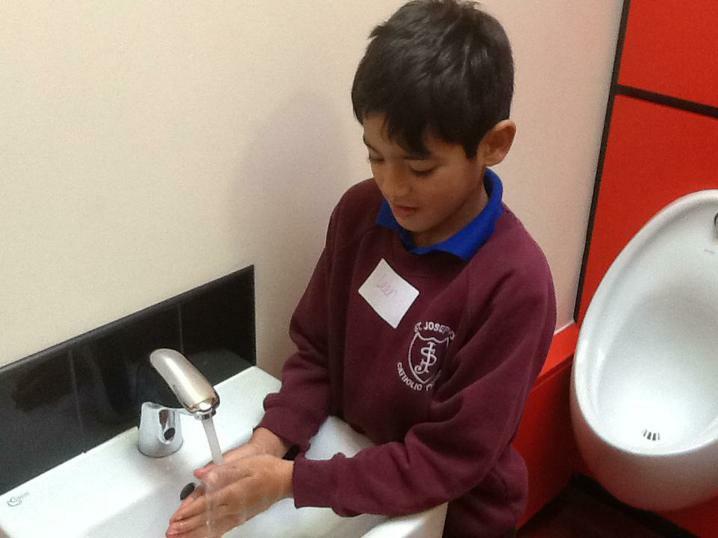 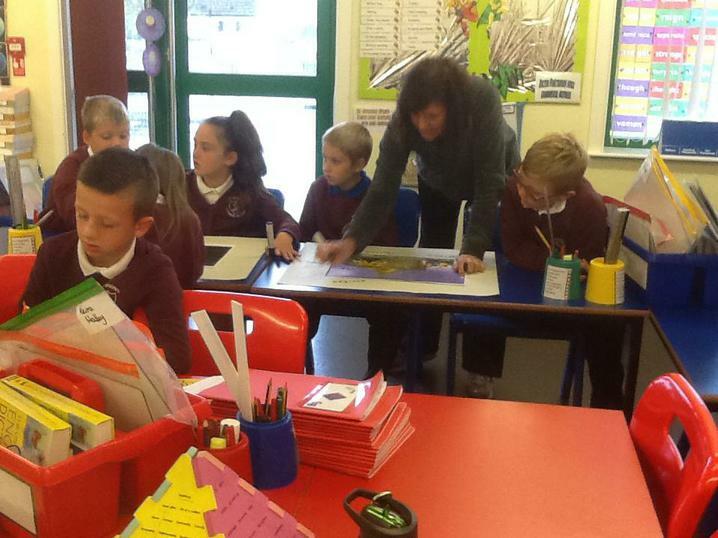 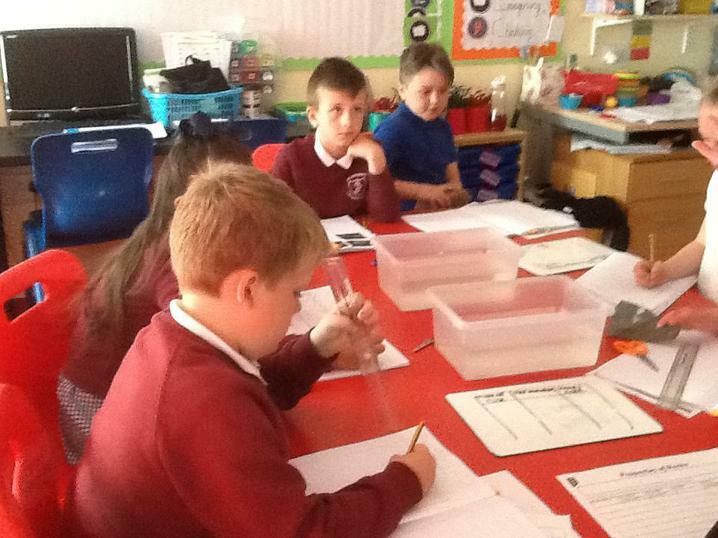 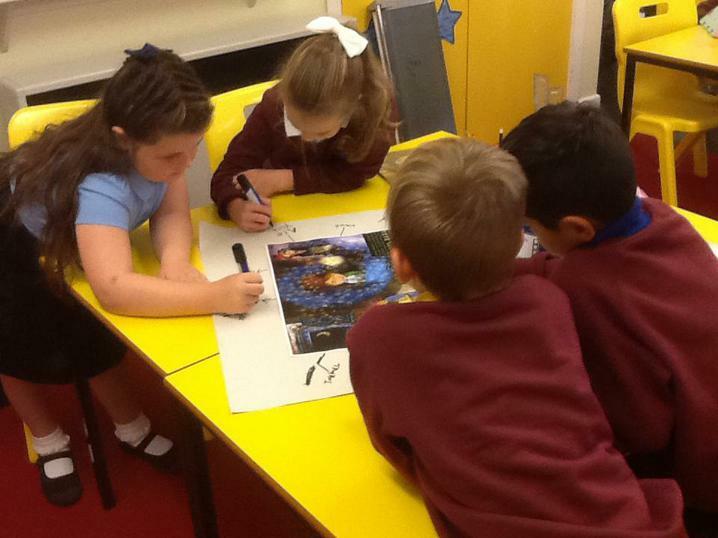 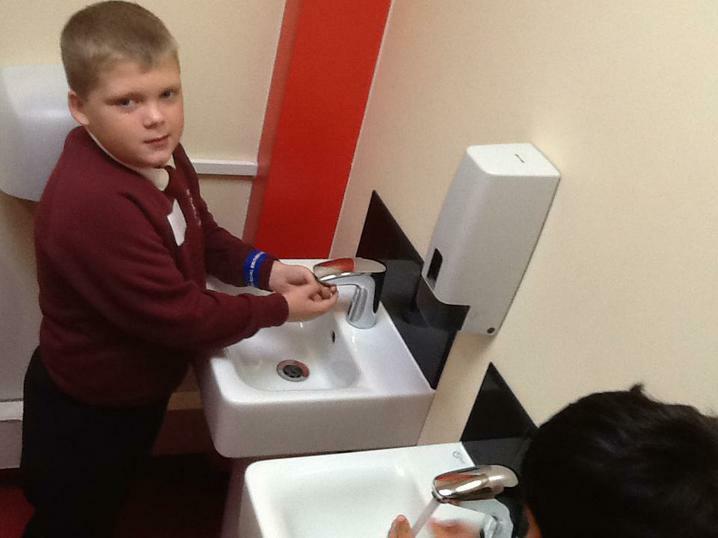 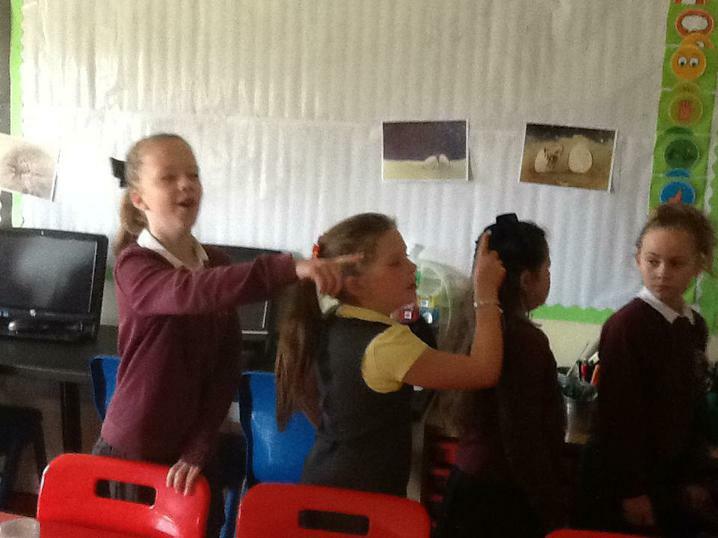 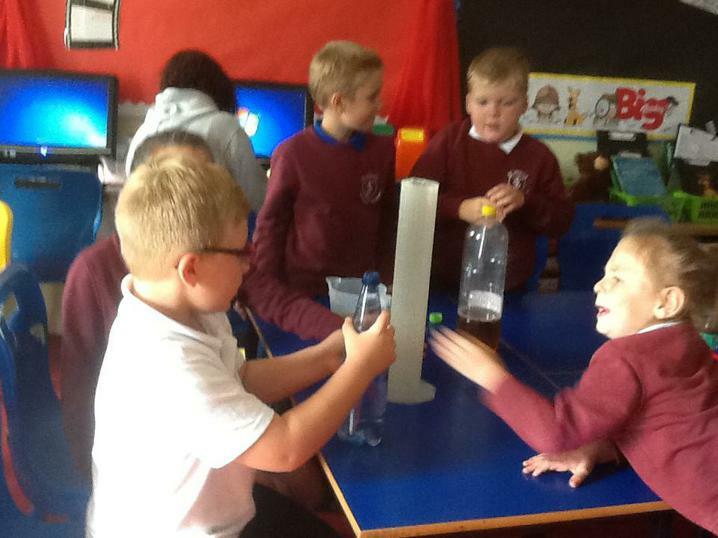 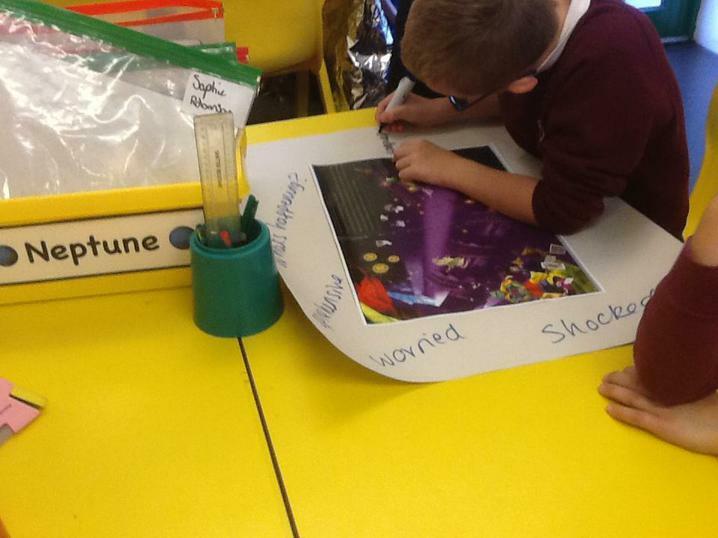 We are linking our learning in English to our topic 'Spectacular Space'. 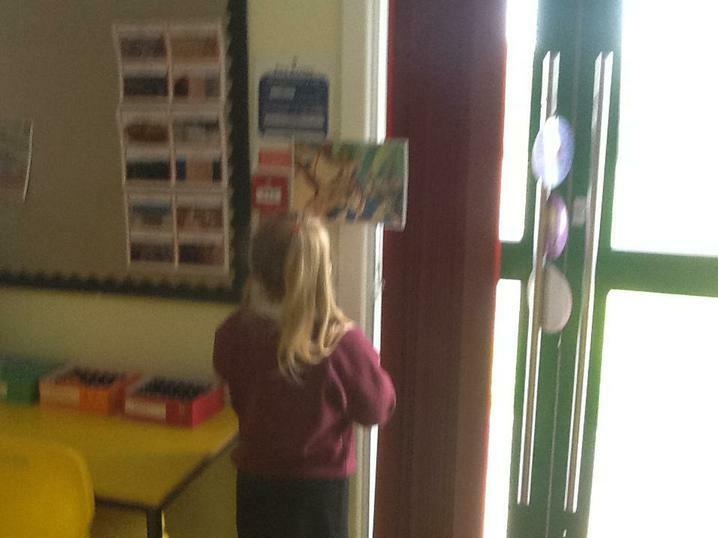 We are focusing on a book called 'Leon and the Place Inbetween'. 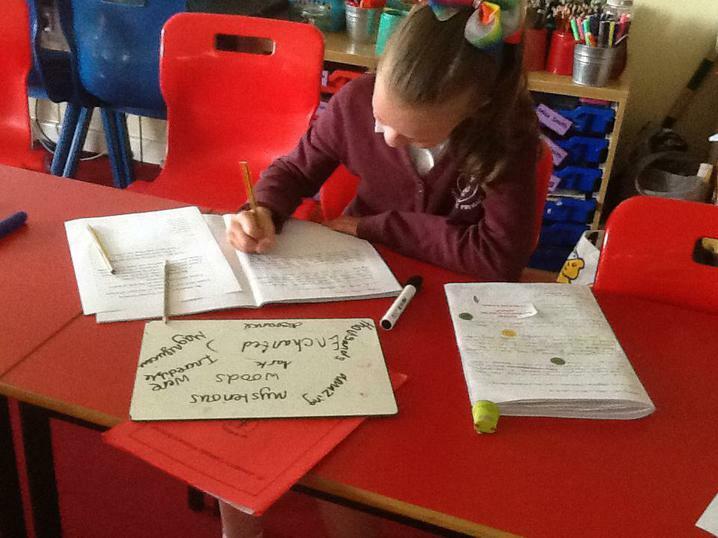 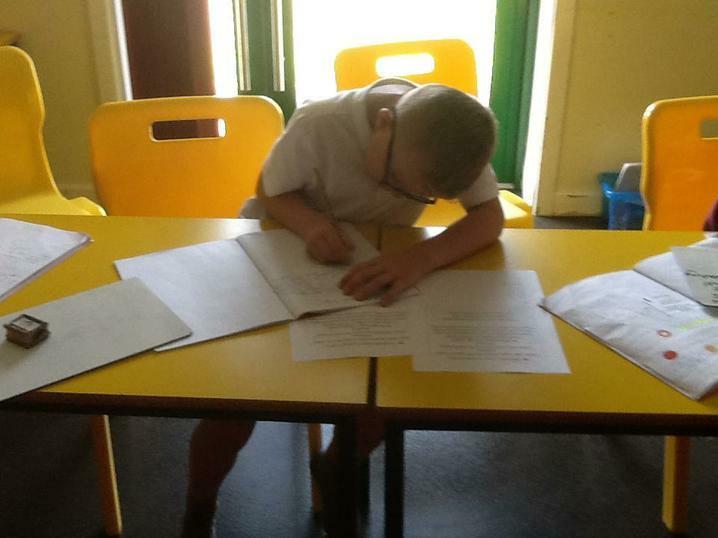 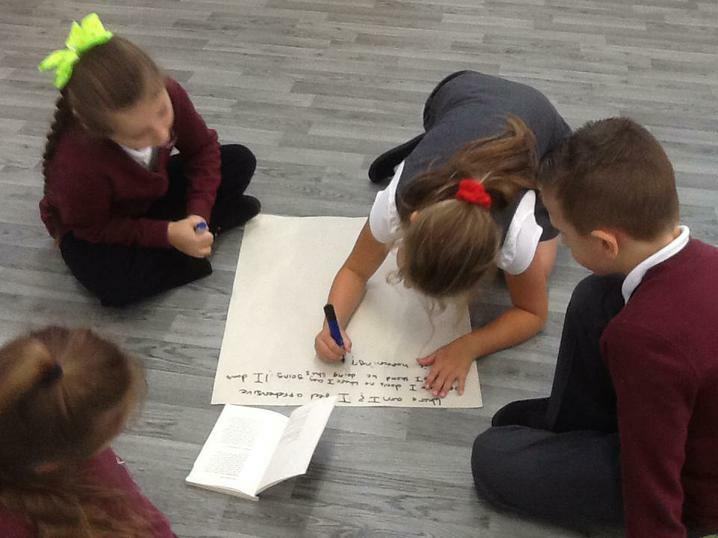 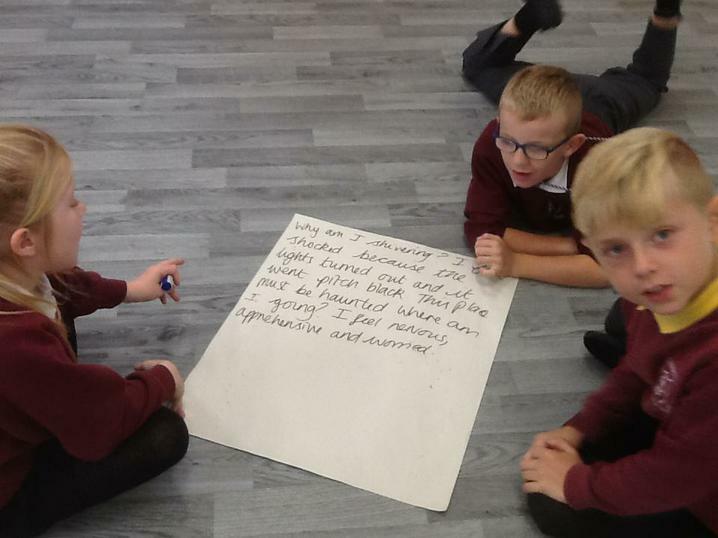 The children will be writing character and setting descriptions which will prepare them to rewrite the story from a different point of view. 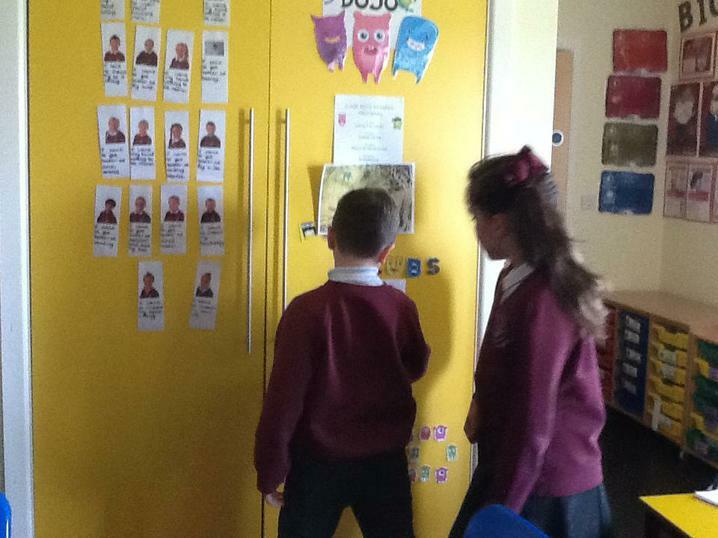 This week in English we have been thinking about characters' feelings. 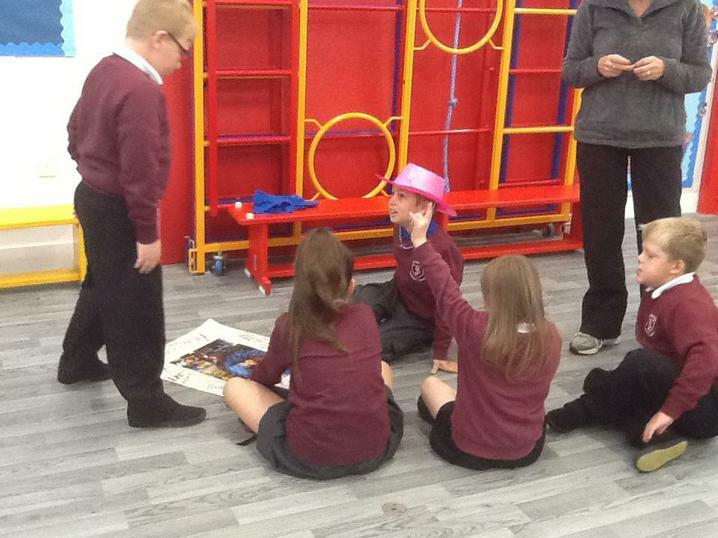 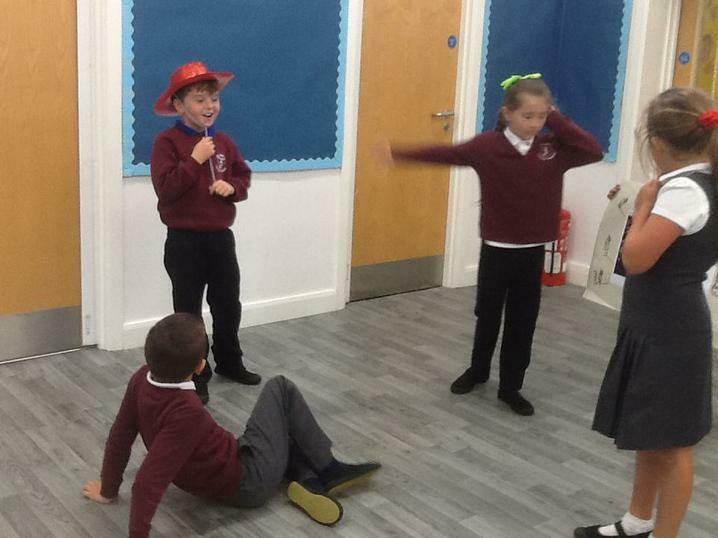 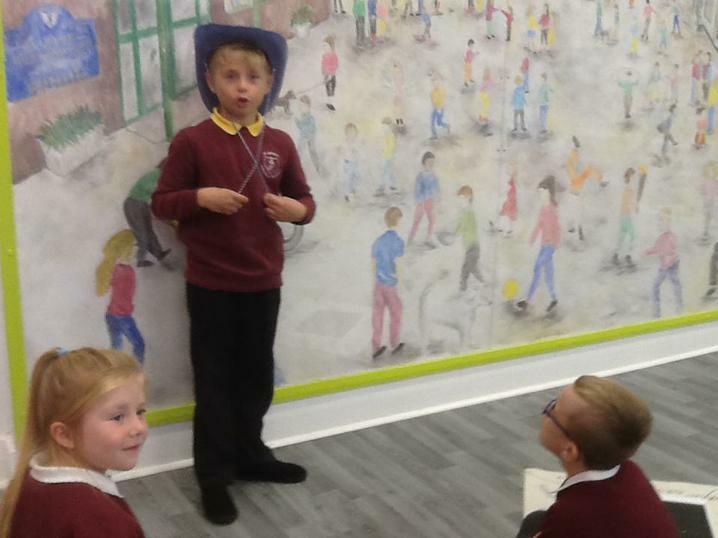 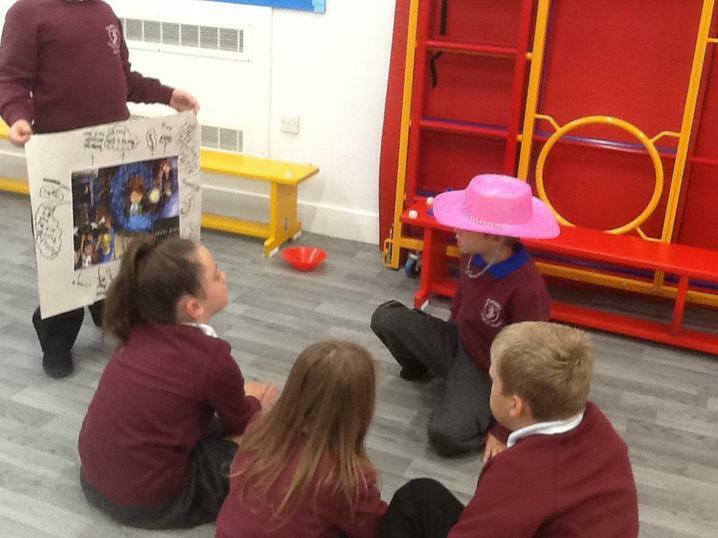 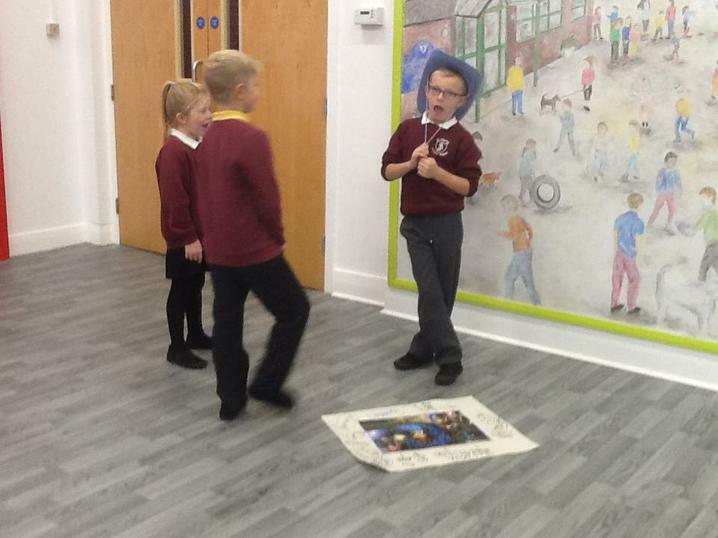 We went into the hall and hot-seated the characters from our Power of Reading story. 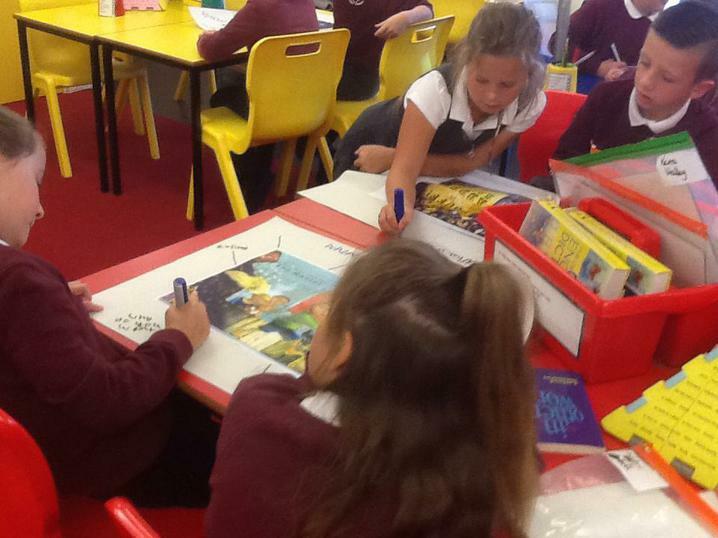 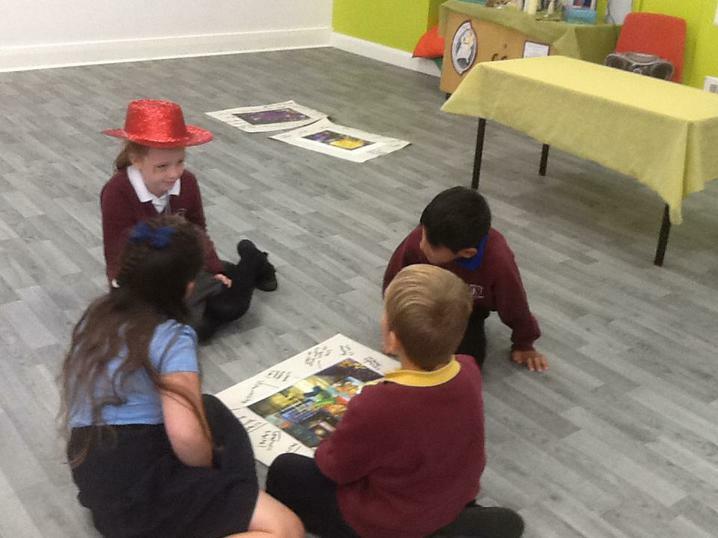 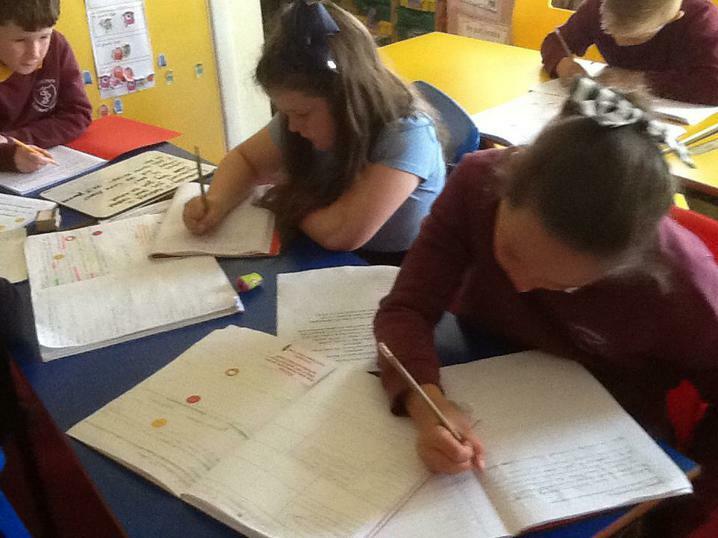 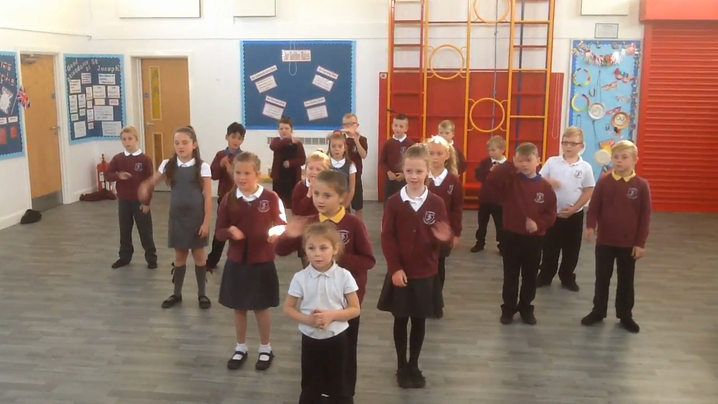 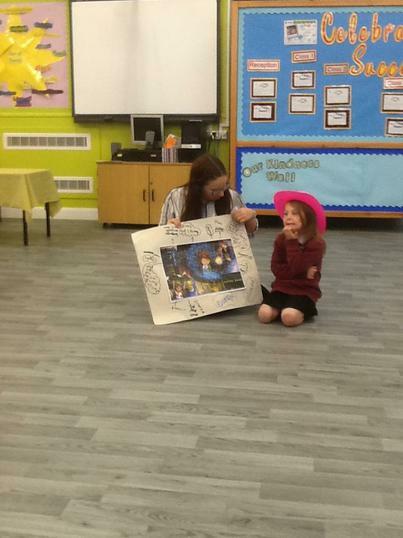 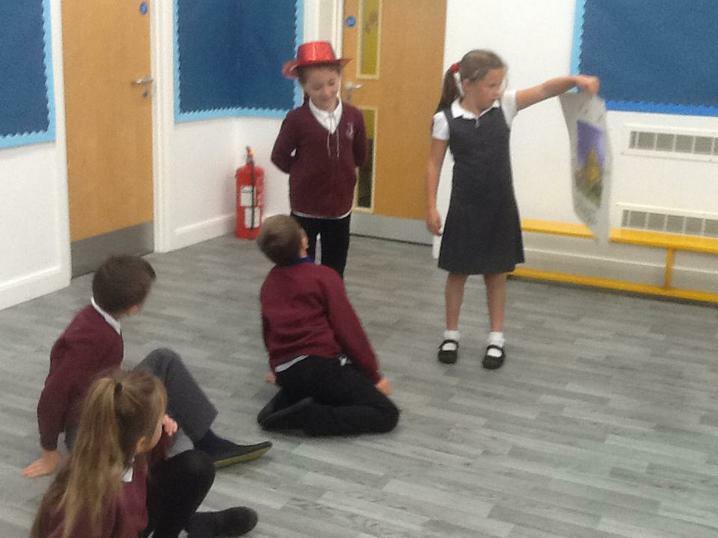 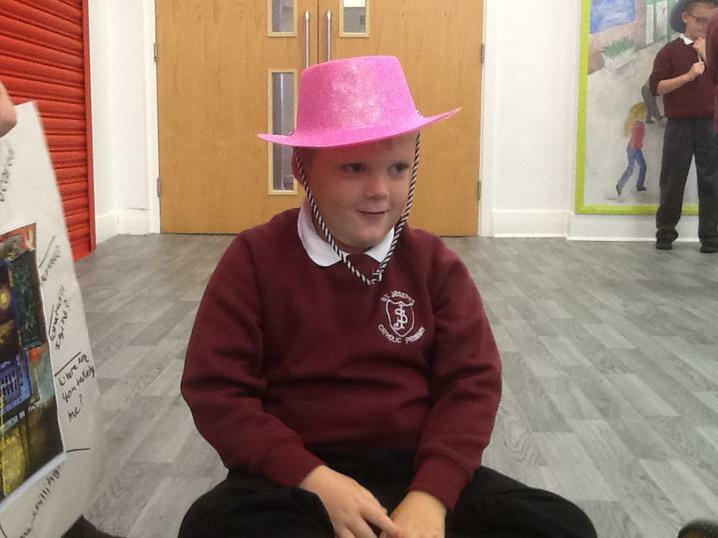 In class 2 we celebrated Roald Dahl's 100th Birthday. 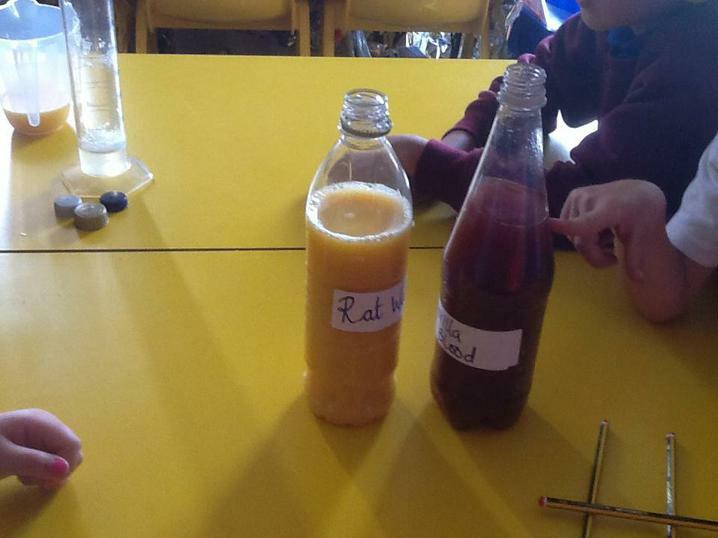 We looked at George's Marvellous medicine and made our own medicines. 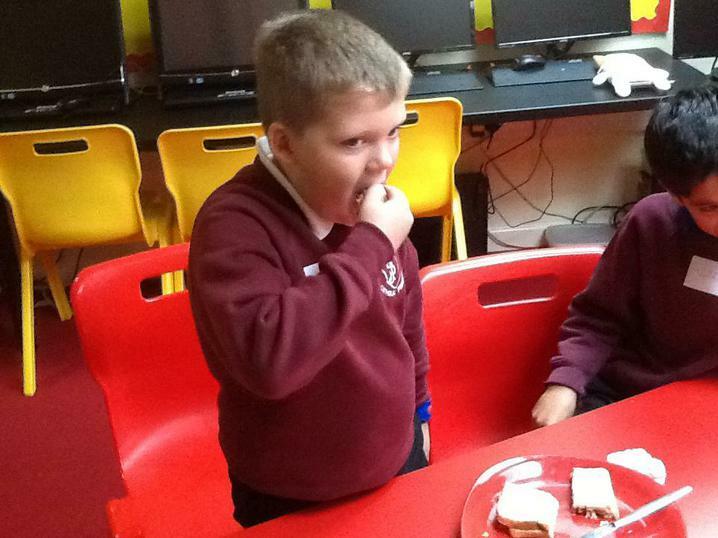 We even tasted them! 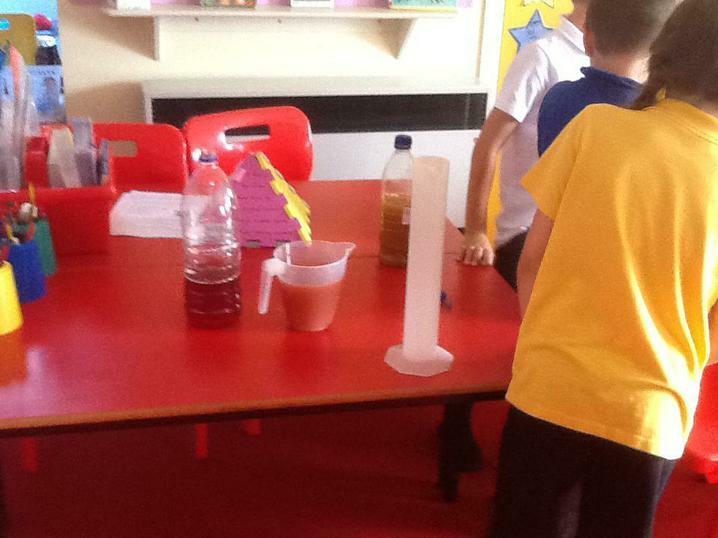 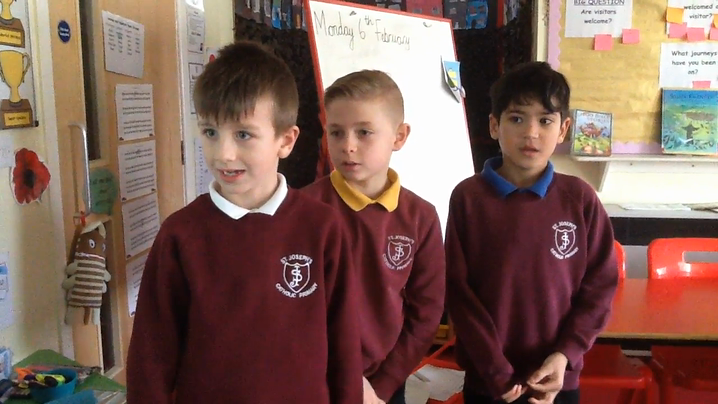 Class 3 came to vote for the best medicine! 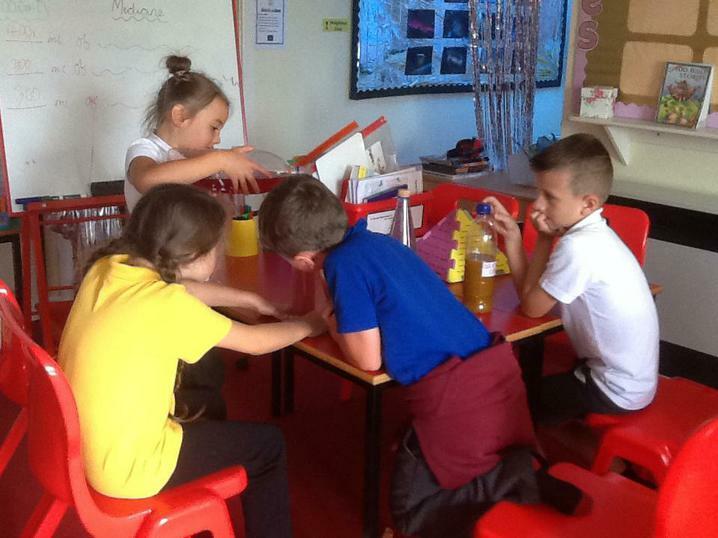 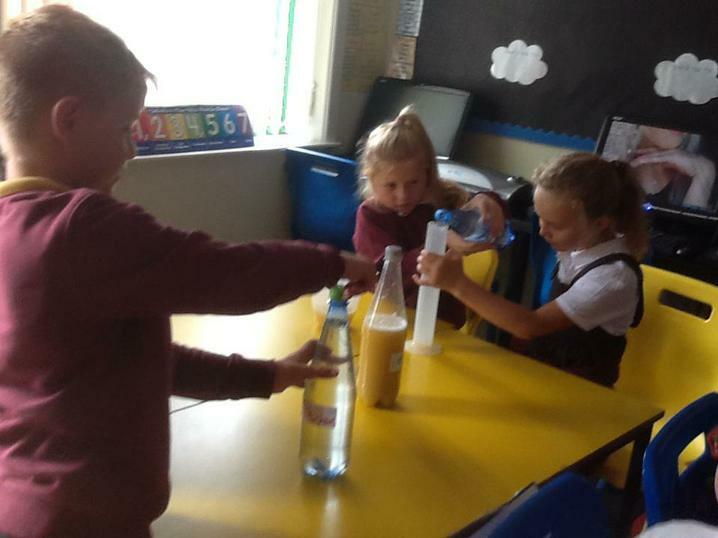 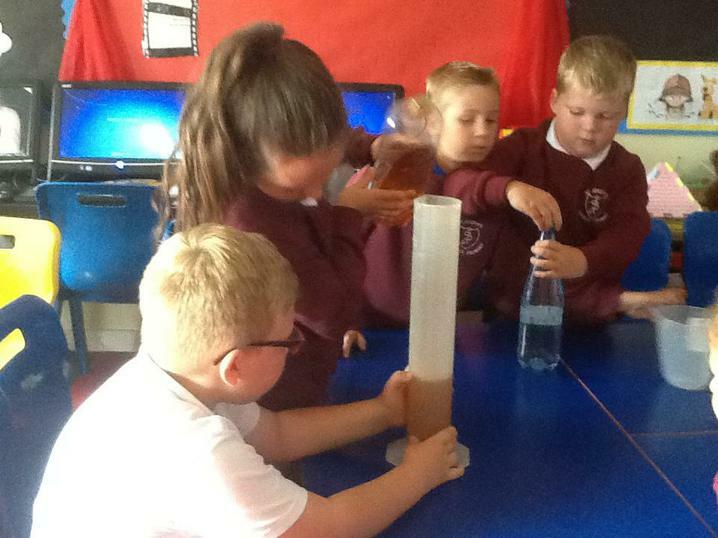 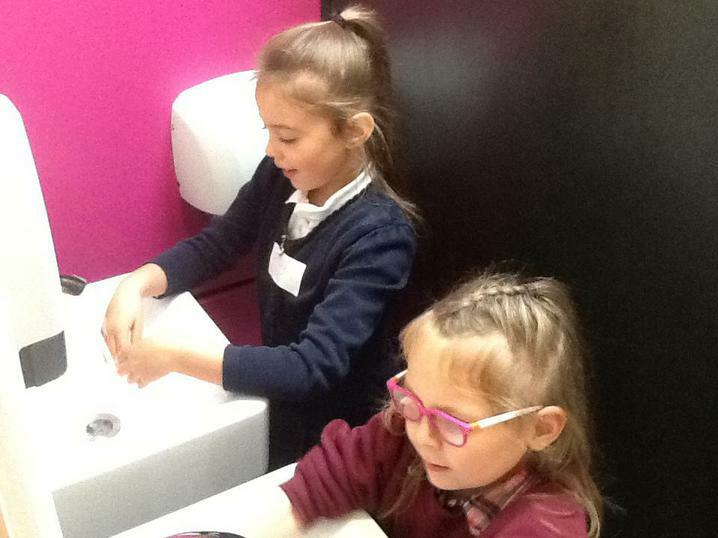 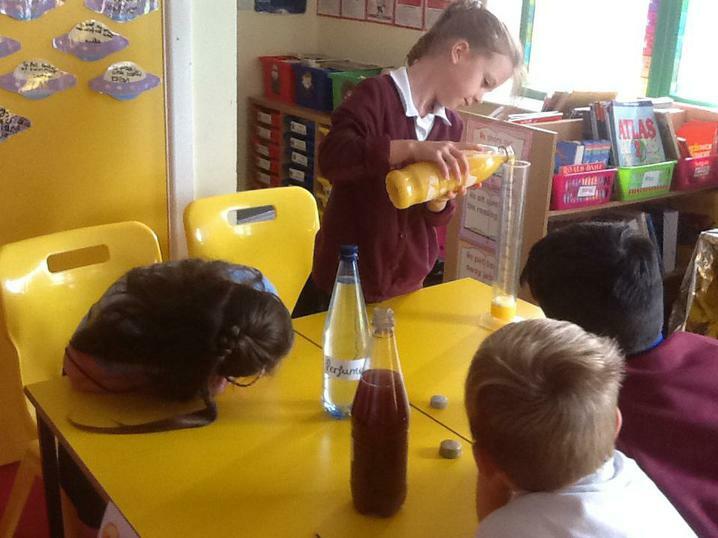 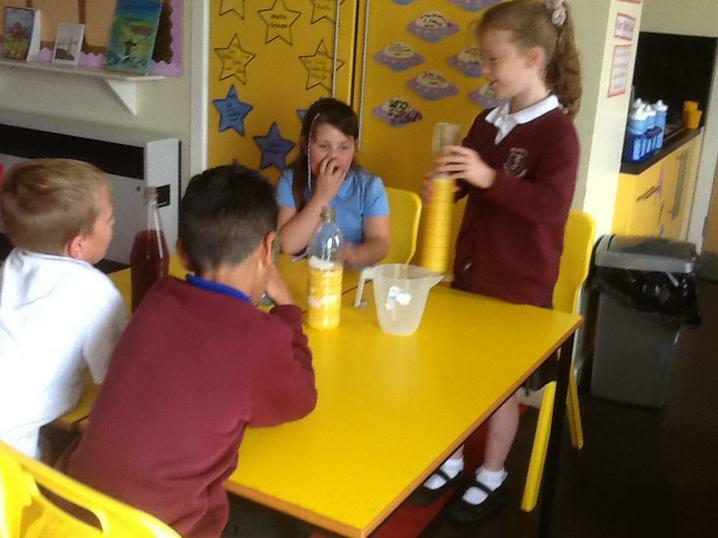 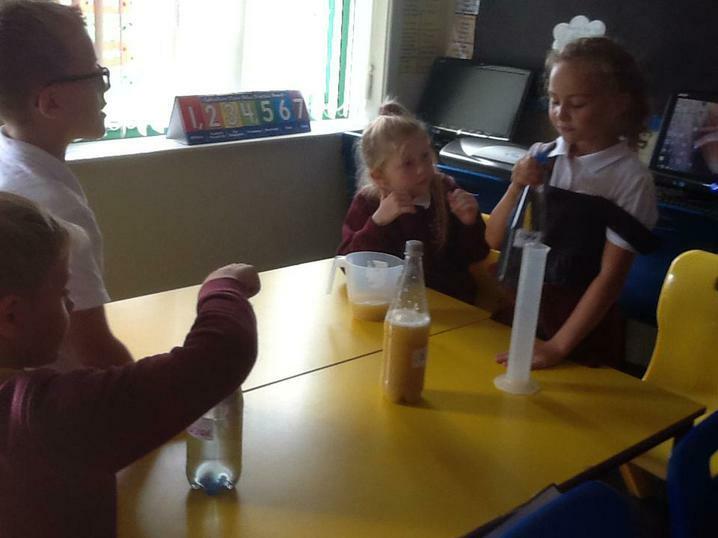 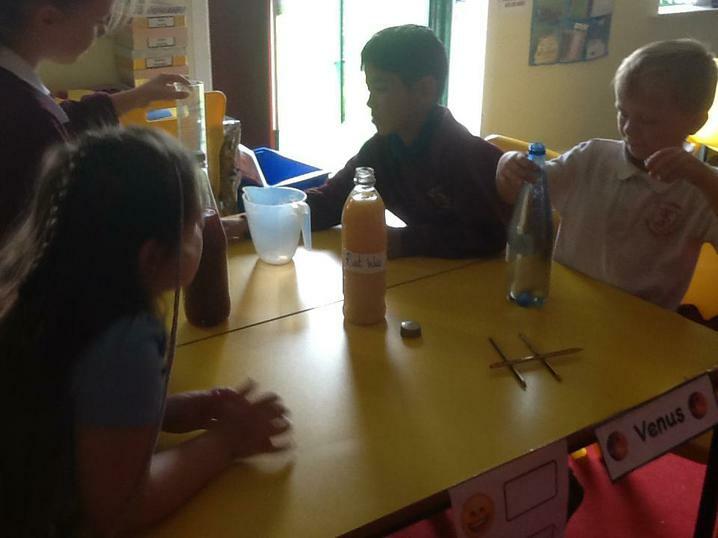 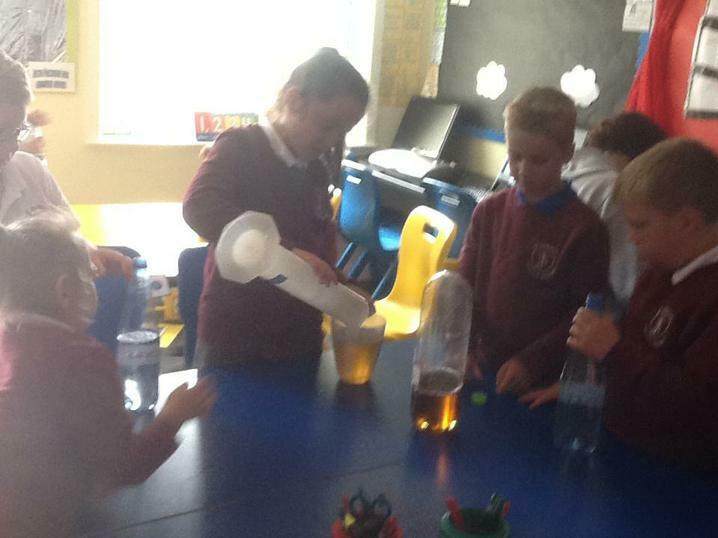 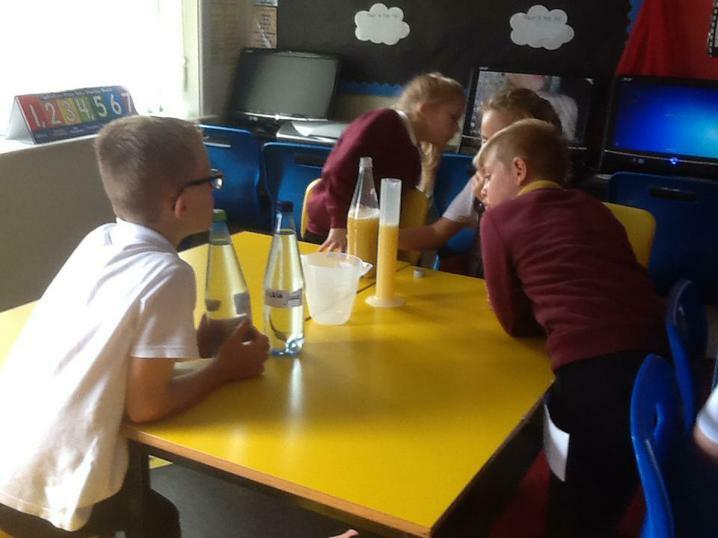 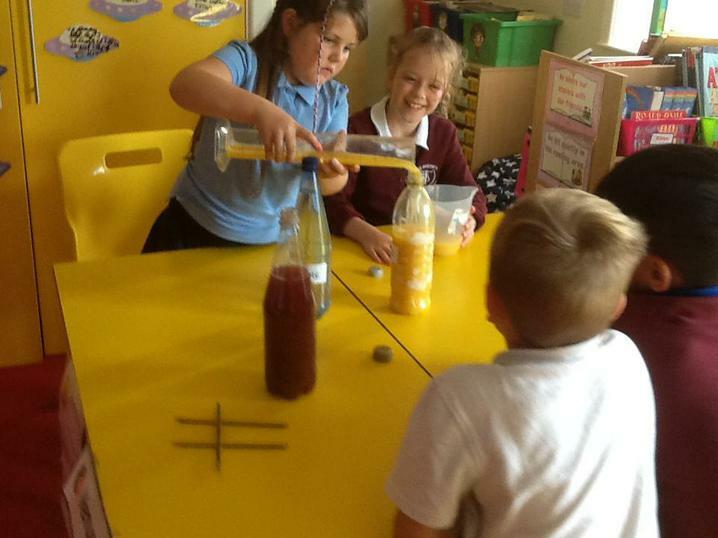 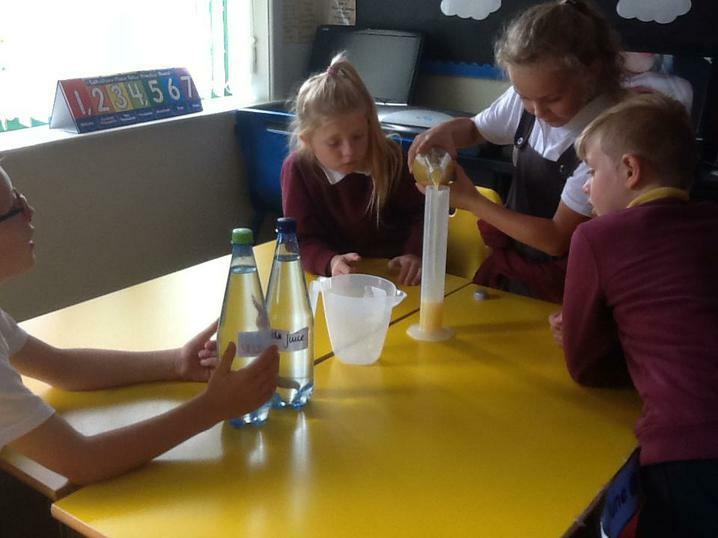 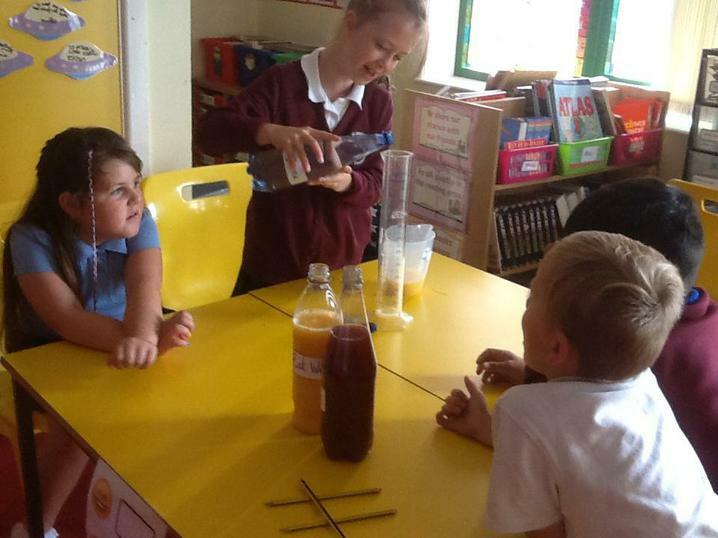 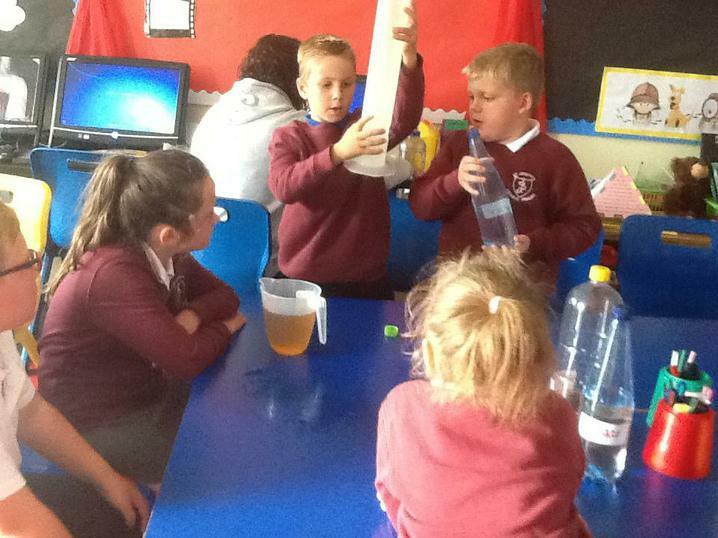 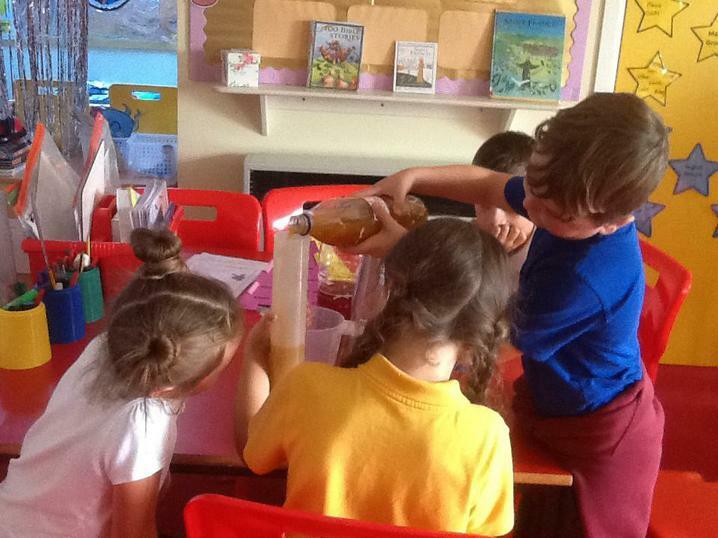 We made our own marvellous medicines! 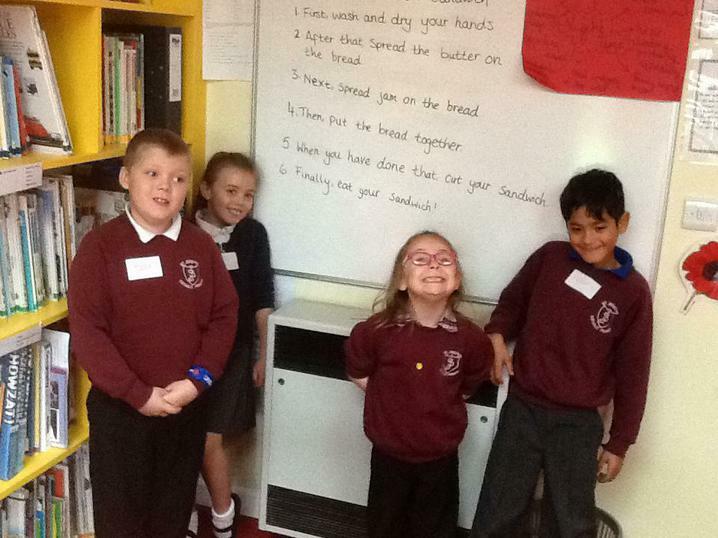 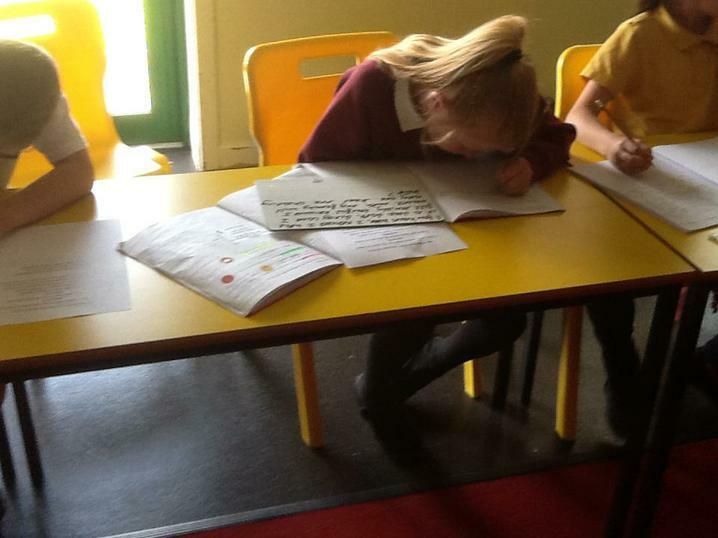 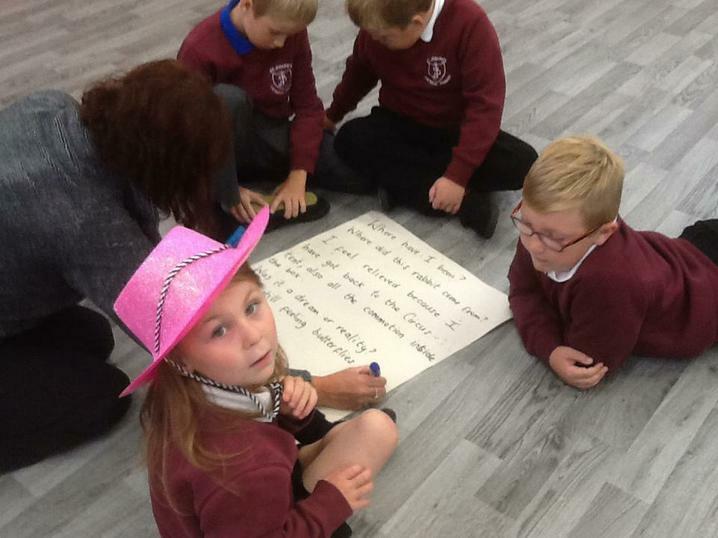 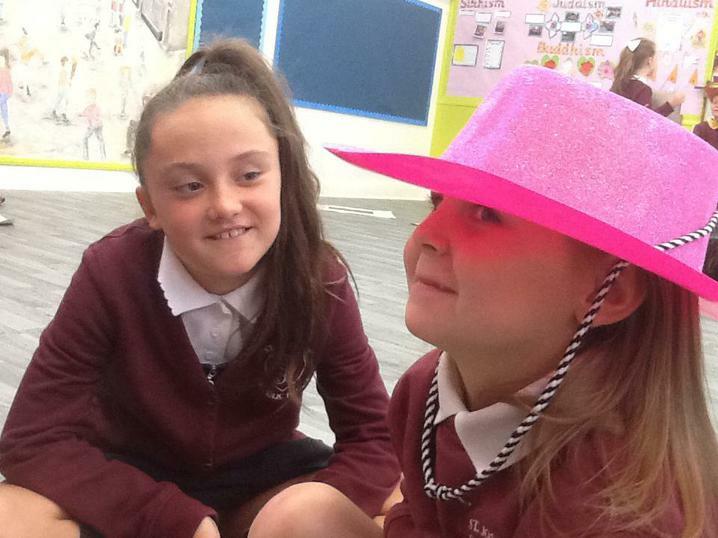 We made some super silly sentences using Roald Dahl's language! 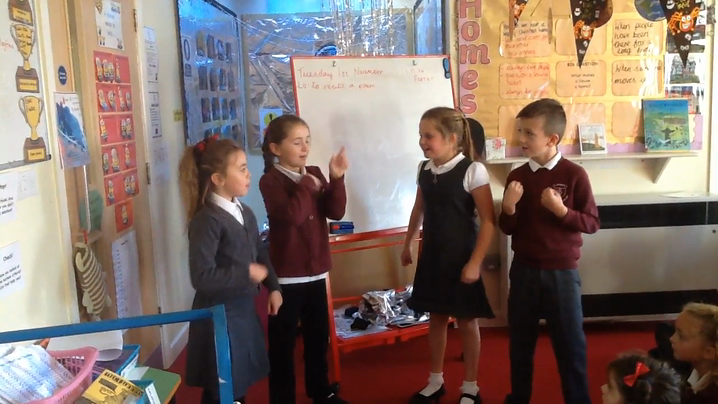 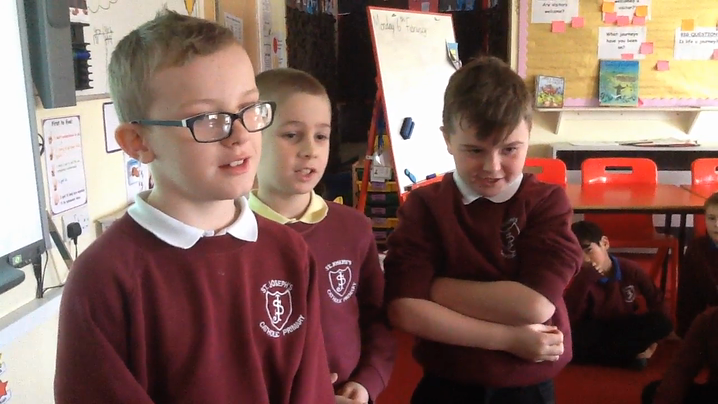 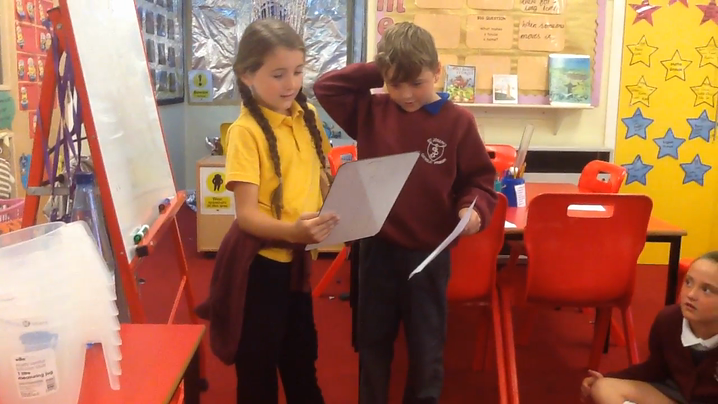 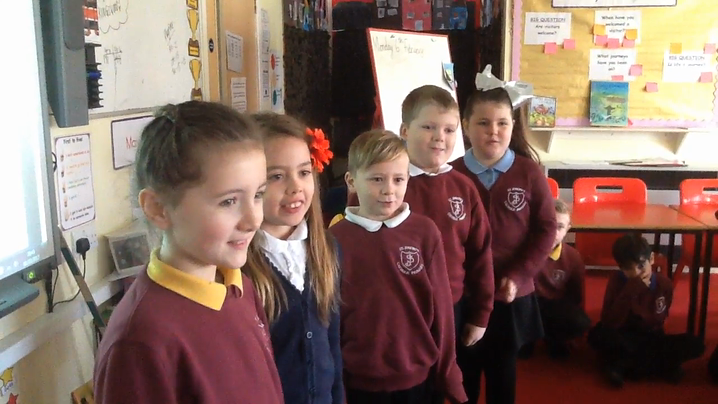 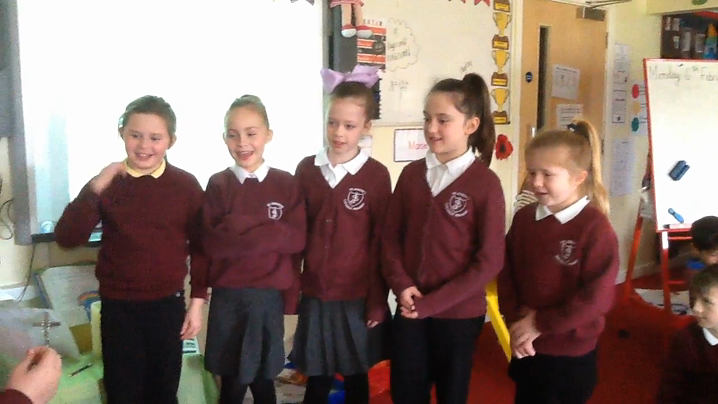 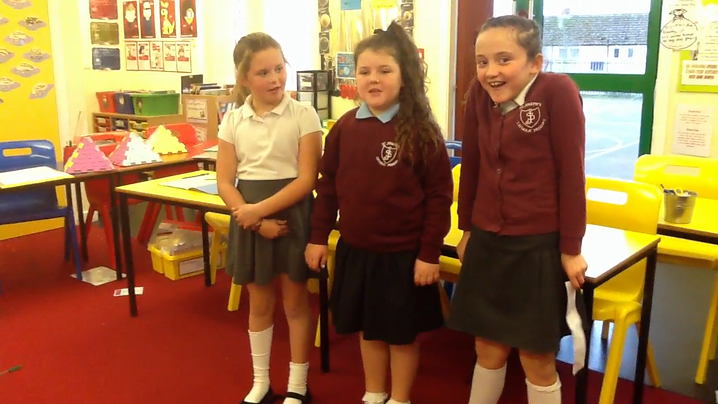 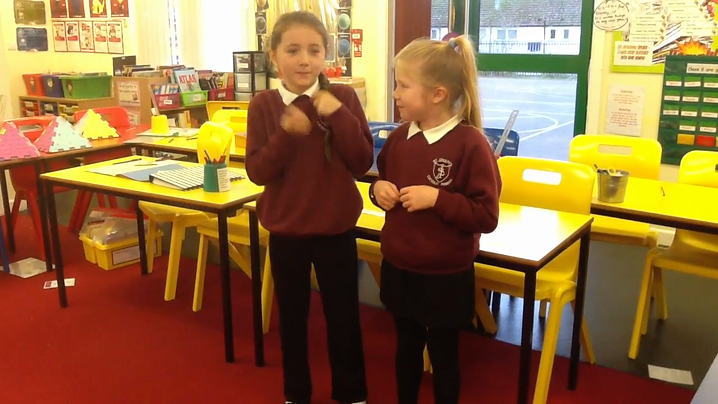 We recorded some of our sentences. 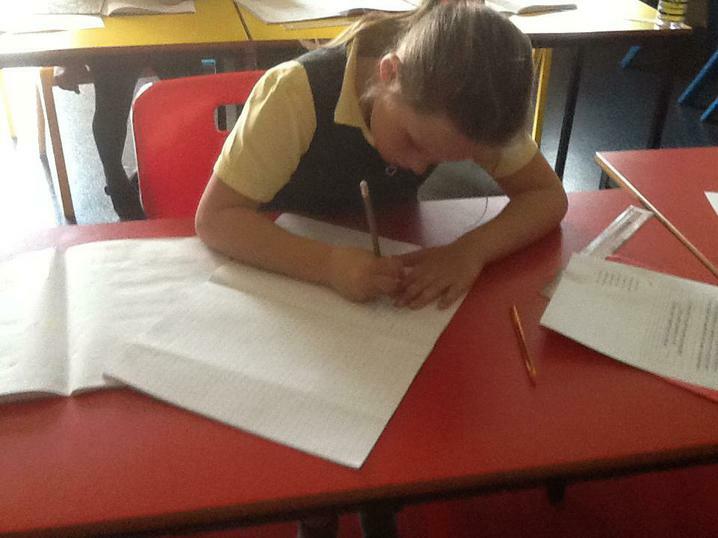 We have been working on writing sentences from memory. 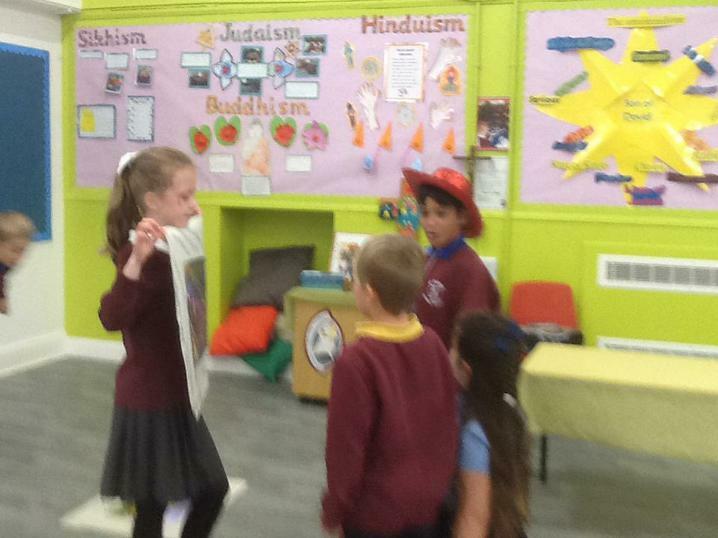 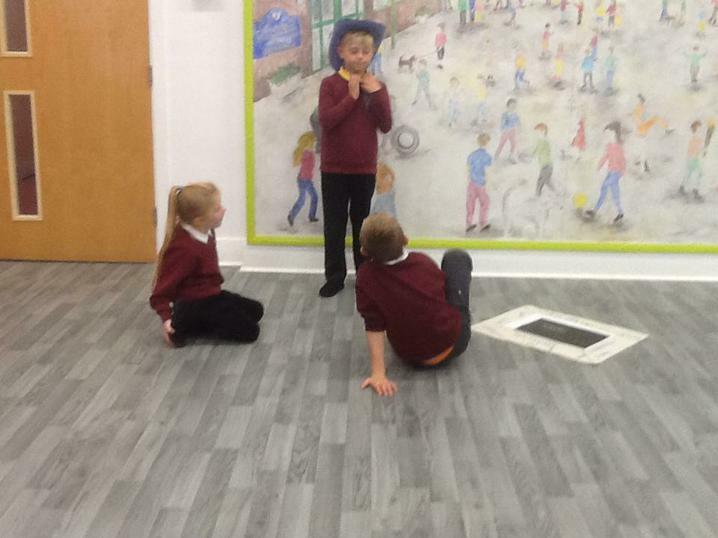 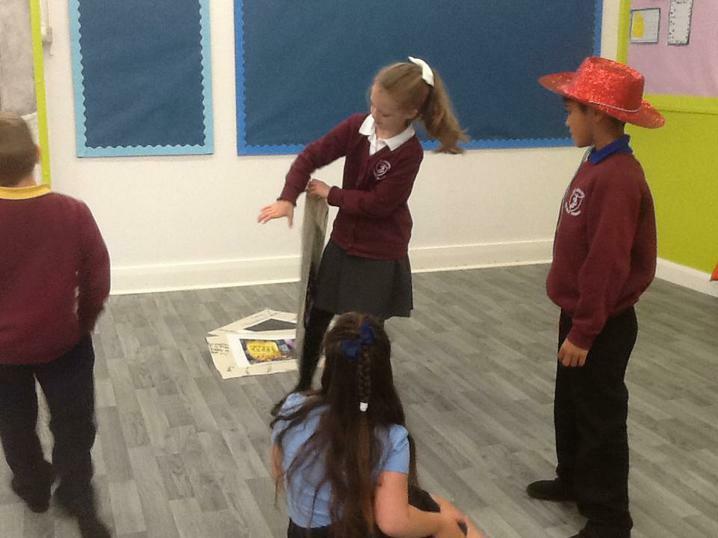 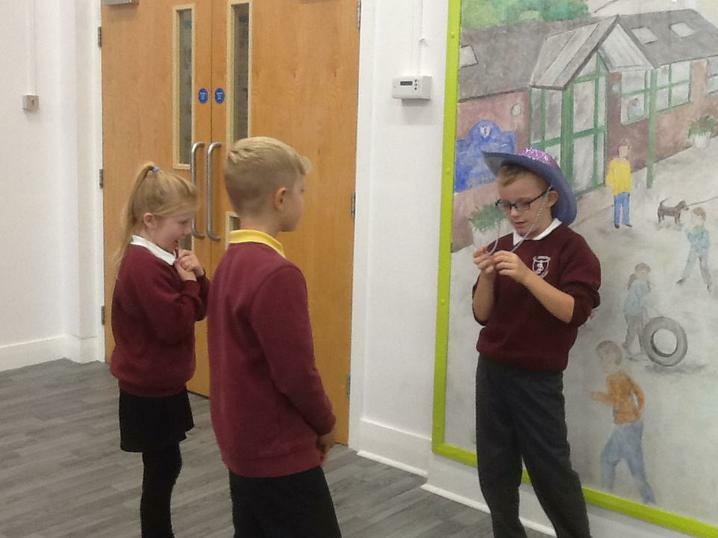 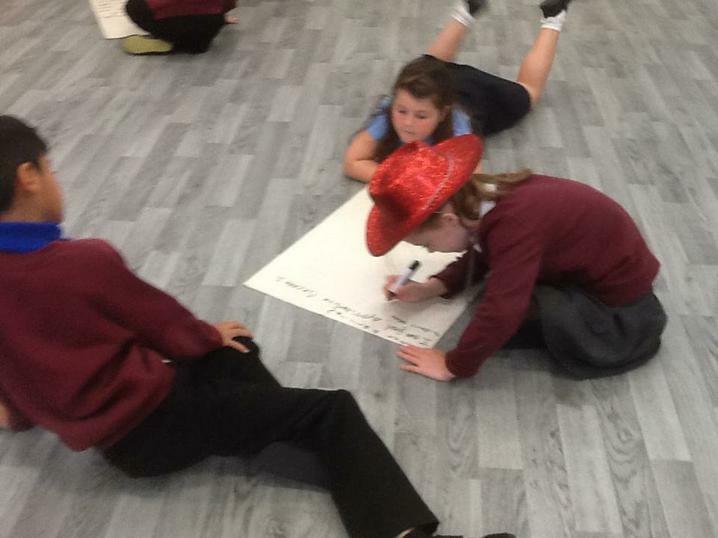 We had lots of fun in the hall doing some team games where we had to work as a team to read and then write some sentences from memory.